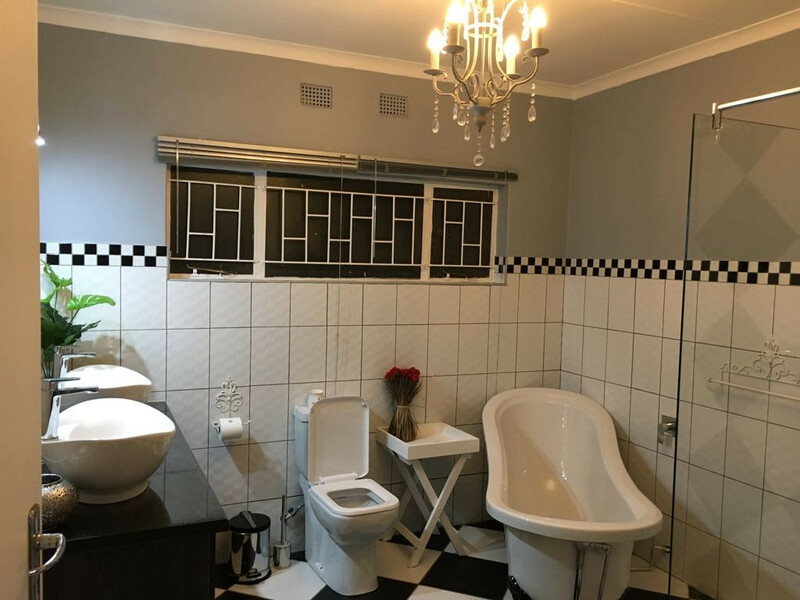 Graceland Guesthouse is situated on the doorstep of Potchefstroom, Peaceful and Tranquil, 3km from the Mooi River Mall and close to other shops, restaurants, hospitals and 4km from the North West University, 3.5km from the Aardklop terrain. 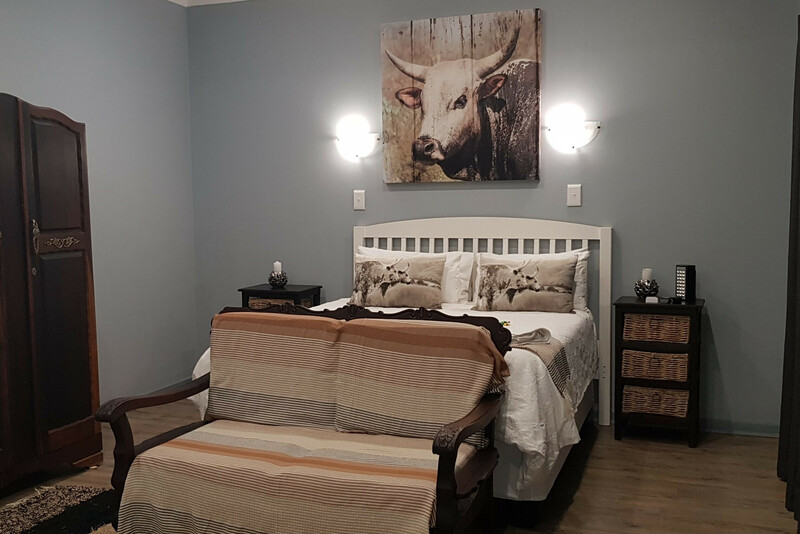 The accommodation is perfect for business travelers, sports enthusiasts and guests looking for a comfortable place to rest on-route or visiting students and families while on vacation. 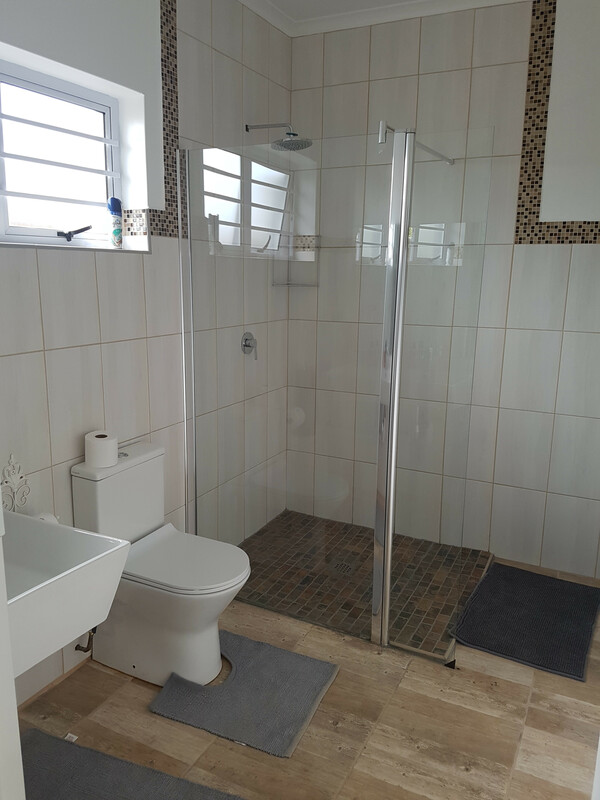 Graceland Guesthouse features beautiful modern furnished self-catering rooms, each with an en-suite bathroom, kitchenette and patio. Safe under cover parking and free WiFi. 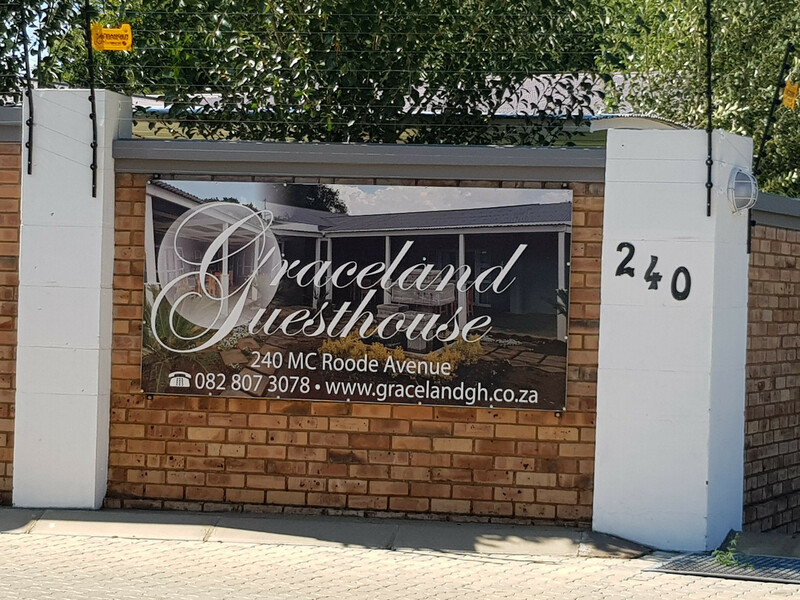 Let Graceland Guesthouse be your next home from home experience when visiting Potchefstroom. 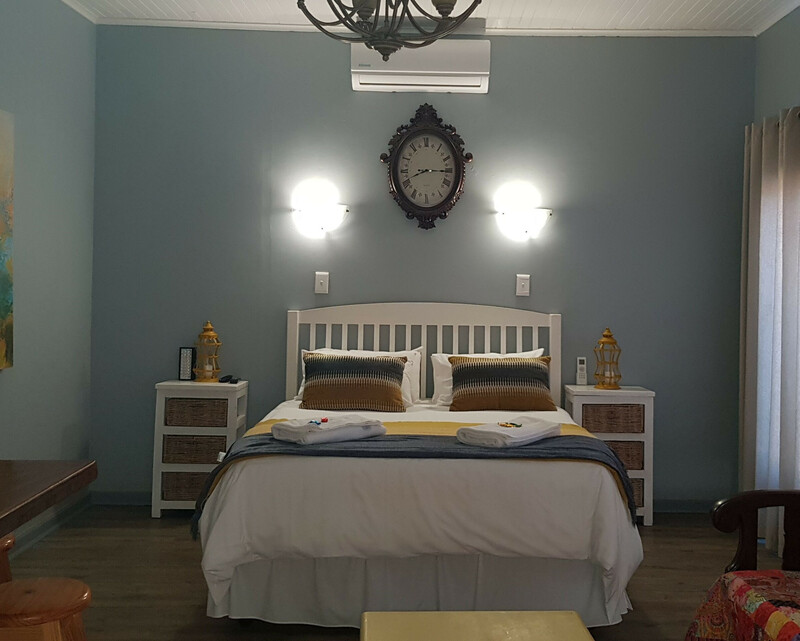 Graceland Guesthouse accommodation situated in Potchefstroom, 3km from the Mooi River Mall, close to other shops, restaurants and hospitals, 4km from the NWU, 3.5km from the Aardklop terrain. 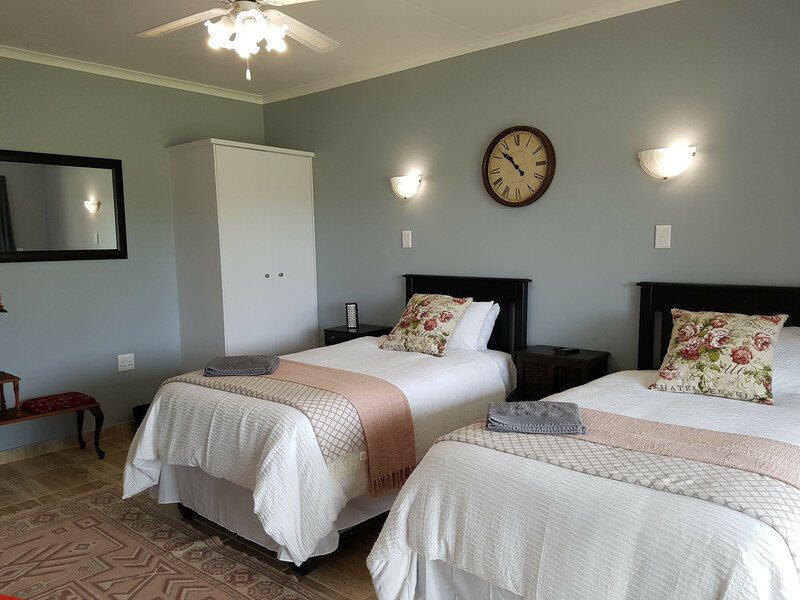 Graceland Guest House offers visitors a safe, convenient and relaxing stay all year round. 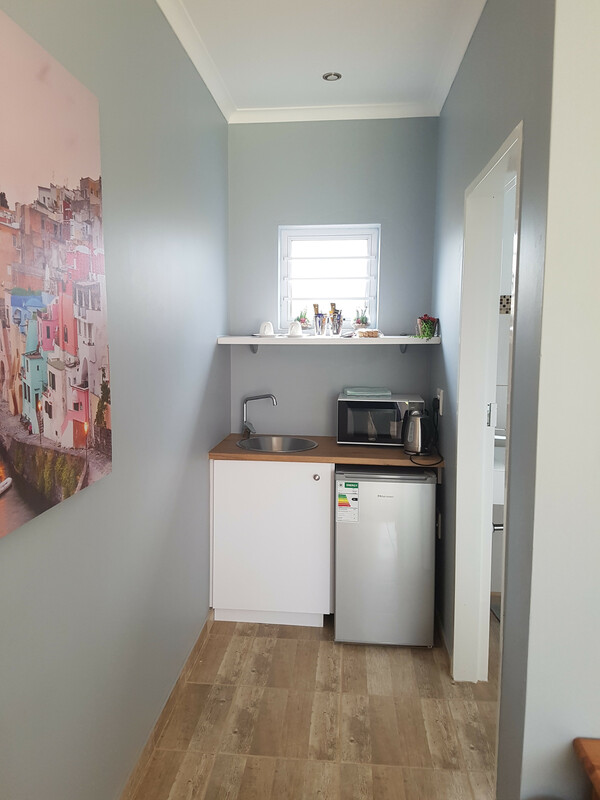 Each room has got it’s own private entrance and is stylishly furnished, en-suite bathrooms, fresh towels, comfortable beds with crispy fresh linen, kitchenette with microwave oven, kettle, bar fridge, cutlery and crockery. Working area, DStv bouquet, free Wi-Fi. Some rooms has got air-conditioning. Each room has got an alarm. We offer breakfast on request for parties 5 or more. A Barbeque area is available, designated smoking area. In front of each unit is comfortable furniture to sit outside and enjoy the fresh air. 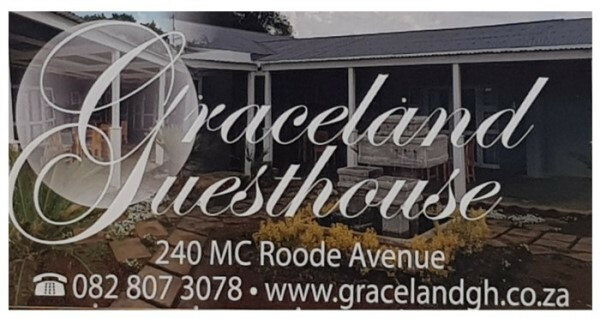 Graceland Guesthouse are 3km from the Mooi River Mall and close to other shops, restaurants and 5.4km from Medi Clinic private hospital, 4km from the North West University, 3.5km from the Aardklop terrain. 3.6km from Senwes Park featuring SA Cricket at it’s best. 4.3km from Puk Mc Arthur Stadium. 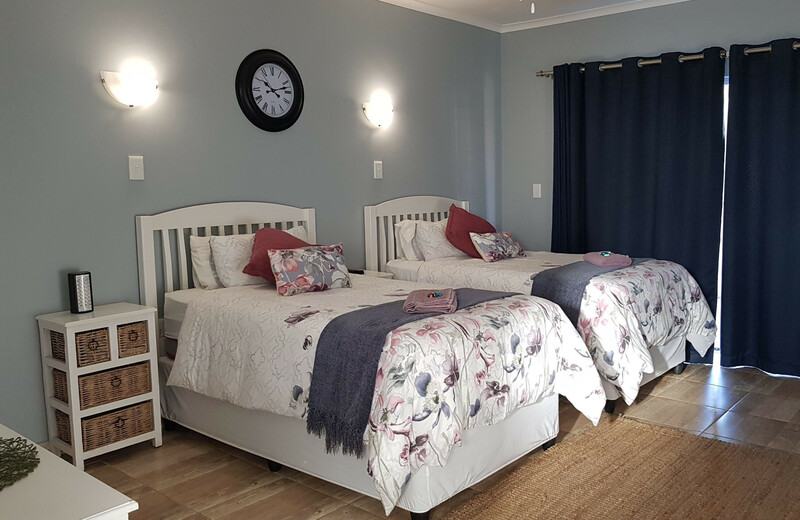 This accommodation is perfect for business travellers, sports enthusiasts and guests looking for a comfortable place to rest on-route or parents visiting students and families while on vacation. 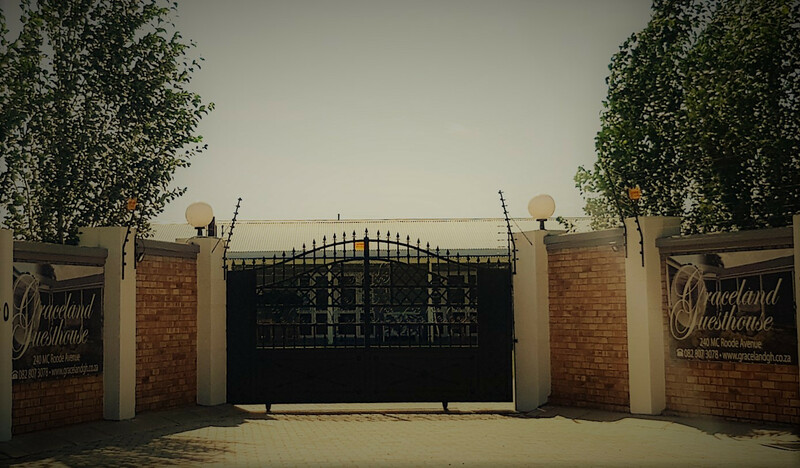 Potchefstroom is an academic city in the North West Province of South Africa. It hosts the Potchefstroom Campus of the North-West University. Potchefstroom is on the Mooi Rivier, roughly 120 km west-southwest of Johannesburg and 45 km east-northeast of Klerksdorp.